We are thrilled to announce that Numerics is featured in Apple’s new iPad campaign “Everything changes with iPad” aimed to showcase the best apps that are helping people be more productive in their daily lives; at work and otherwise. 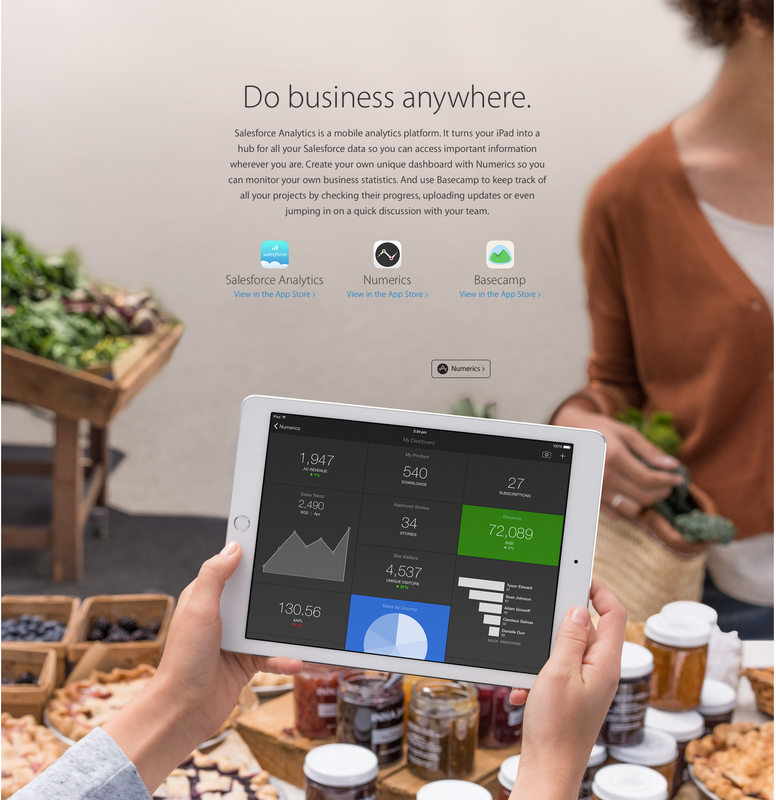 Numerics is part of the “Small Business with iPad” collection recommended by Apple along with other great apps like Salesforce, Basecamp, MailChimp and more. We are deeply honored to be recognized by Apple for helping professionals track their key performance metrics and making better decisions with Numerics for the iPad, iPhone and now Apple Watch. A Big Thank You to Apple, our fans, our customers and partners for supporting us!